Nicki Minaj performed "FEFE" during the VMAs last night. "FEFE" was originally a Tekashi 6ix9ine featuring Nicki Minaj cut that became a Nicki Minaj featuring 6ix9ine track when she added it late to her album Queen to help juice Queen's sales. Tekashi was nowhere to be found during her VMA performance. But it wasn't because Nicki didn't want him there. "I wanted him to perform with me at the VMAs and somewhere along the line he didn't get approved to perform by the powers that be," Nicki said today on Queen Radio. "I don't want anyone to think for a second that I wouldn't invite him to perform his hit record. I want everyone to know my character. I really fought... When I know somebody there's nothing you can tell me about them." 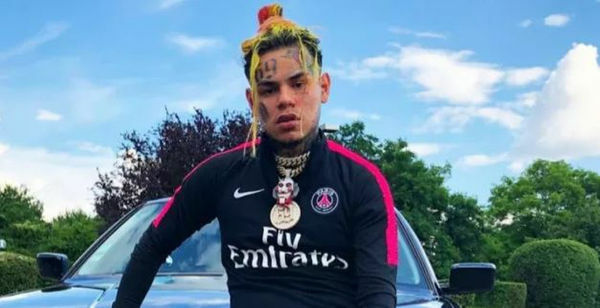 We assume MTV banned 6ix9ine from their stage because of his notorious guilty plea on charges of use of a minor in a sexual performance. This isn't the first time Nicki's stuck up for Tekashi. She also defended him (and herself) when she was accused of co-signing a molester. In the same Queen radio episode that Nicki explained the 'FEFE'/MTV/6ix9ine situation, she called Travis Scott a "hoe" because she didn't like the way his album Astroworld beat her album Queen on the charts.